If you want to be spidered by the search engines, you need to make sure that your sites are search engine friendly. I developed my theme to make sure that it is as search engine friendly as possible. 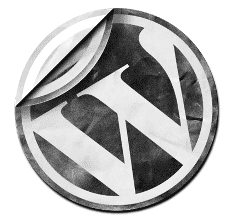 But there are also some other tips you need to consider when you configure WordPress, so you have a good combo. As we already know it’s important to have relevant title tags and metatags. The latest version of WordPress uses the title of your post as the url, by default. Another good tip is that the urls don’t contain a lot of variables. However, if your blog has been up for long, don’t change this, because it will invalidate many of the incoming links you are getting. On my site, the permalink structure is %year% , %monthnum% , %postname% which is the best in my opinion. You can set this by accessing your WordPress Dashboard. Then go to “Settings”, “Permalinks”. There select “Month and name” and save changes. After changing your permalink structure, you will probably get this message: “If your .htaccess file were writable…”. If you don’t this message, then don’t worry. But if you do, you will need to create a HTACCESS file. It is very simple, and believe me, it’s worth it, because you are optimizing your links for search engines like Google, and that means more traffic. I explain in this post how to create a HTACCESS file and upload it to your server. Try to avoid %day% , %post_id% , %hour% , %minute% or %second% in your permalink URL structure. Using any of this is not the best option and will make it harder to get spidered. Monthly posting archives are more than fine. Getting too many tags into your permalink URLs will make it harder to see the URL’s boldened keywords on search engine results. Remember, don’t change this if your blog has been online for long time. Take this in consideration only for a new site. Blogs, Content, Google, Keywords, Optimization, Seo, Theme, WordPress. Bookmark. Здравствуйте, вы можете скачать мои разработки. Имейте подписания. Спасибо.